This review by Beth Davies-Stofka was posted February 12, 2007 on the Broken Frontier comics web-site. My father was born in Weymouth, England in 1936, and spent the first years of his life in Southampton, witness to an air war that boggled many a child’s mind. In 1945, he and his brother, along with their parents, were on the first post-war passenger liner bound for New York City, thanks to my grandmother’s U.S. citizenship. While much of the family history has been preserved, in memory and in my grandmother’s memoirs, an open question is how a beautiful edition of The Adventures of Rupert happened to come to America with my father. When I was a very small child, I was allowed to play with this book. Like many books written for kids, the Rupert Annuals were not only books for reading, they were actually toys with games and puzzles. The Adventures of Rupert also contained a surprise treat that rocked my little girl world. My mother set me up with a small dish of water and a paintbrush, and showed me how to dip the brush tip in the water and paint it over a drawing of Rupert and his friends. The drawing magically turned to vivid, vibrant color! I still haven’t forgotten my completely delighted astonishment at this seemingly impossible result. It helped cement my belief in magic, but it did something more, too. It cemented my belief that there is always more to life than what meets the eye. Hidden in the immediate moment are unlimited creative possibilities, and comics artists are giving us guided tours. I can’t imagine how much this meant to hungry British children living through a war. It took reading Paul Gravett’s and Peter Stanbury’s Great British Comics: Celebrating A Century Of Ripping Yarns & Wizard Wheezes to learn that Alfred Bestall, the writer and illustrator of Rupert for thirty years, was the man responsible for this incredible experience of “magic painting”. This tidbit of information gave historical meaning to a cherished memory, thus closing a gap between a definitive childhood moment and an adult passion. But far from being solely a wonderful exercise in nostalgia, Great British Comics is an excellent survey of a century of British comic art, and a superb contribution to studies of comics that discover their cultural relevance and interpret their importance. Gravett and Stanbury meet several aims of scholarship at once. They preserve a century’s worth of comic art in crisp resolution for future study. They position the comics in historical context, allowing interpretation of their cultural relevance. And they provide ample food for thought, stimulating dozens of questions for ongoing study. This beautiful book is 9.5” x 11”, and may deceive you into thinking that its main aim is to grace your coffee table. But the book is far too readable and engaging to be merely decorative. The larger size permits Gravett and Stanley to capture and catalog disappearing comic art and present it in a size and resolution that allows the reader to view the original art in detail, inviting future studies of the artistry involved in the craft of comics. The size also permits the reproduction of hundreds of complete strips, giving the reader ample access to the comics under discussion. 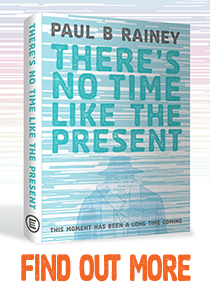 The book itself is a work of art, gorgeously designed in full color. Even the black and white strips are given a colored background, making them easier to read. The pages are designed with inventive borders and each page has its own unique title, often rhymed, a sort of gag headline, extending the pleasure of reading. Most pages are devoted to reproduction of comic art, with clear and instructive captions, but each chapter also includes a short, informed, and thoughtful introduction. That alone would be an important contribution, but Gravett and Stanbury do more. A chronology of comics from 1825 to 2006 appears in Stanbury’s timeline on pages 8-13, in which he places comics in the context of political developments and technological innovations. The book itself is organized along thematic rather than chronological lines. The thematic approach to the chapters allows the authors to become fully engaged in historical and cultural analysis. Chapter 2, for example, looks at domestic concerns in the comics, such as work and family. The reader is treated to insights into how major characters such as Ally Sloper changed as class relations in Britain changed through wars and economic depression. Chapter 4 looks at animals, and suggests intriguing connections between comics characters Rupert or Teddy Tail and classic literary characters like Winnie the Pooh and Peter Rabbit. Above all, Gravett and Stanbury focus their efforts on tracking and understanding just how dynamic British comics are. 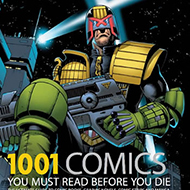 Not content to simply illustrate a century of comics, they ask about the changes in British comics, how those changes might be explained, and what they mean to British history and culture. In this same way, they bring the contemporary scene to life for readers in Britain and the US, and it forms the basis for our confidence that British comics will stay energized well into the future. Great British Comics is comics history at its finest. Comics historiography is the most fertile and productive of the fields of comics scholarship right now. These two deserve a lot of the credit for that, as Great British Comics is the third book by Gravett and Stanbury, after their Manga: Sixty Years of Japanese Comics and Graphic Novels: Stories to Change Your Life. The next generation can grab hold of this mother lode of information and analysis and begin writing critical studies that grapple with the questions of art, culture and national identity raised in the pages of all three books. Meanwhile, the ongoing labors of comics historians, like the labors of archeologists and folklorists, will keep us connected to our roots, our culture, and the resources of the human imagination.